Teaching children behaviour in a primary school is a tough job for many teachers. For this reason, a teacher has to go through a lot of research and analysis. In the process of teaching-learning, one must find ways to learn new things to employ in the classrooms. At primary stage, teachers need to experience the varied needs of children. With the help of advanced methodologies, teachers will try to educate children and all of these methodologies can be known by pursuing a certificate course in classroom behavior management from a school or an organization. As a teacher, it is a bounden duty to discipline a child and establish an environment conducive to learning. To discipline a child some of the following measures can be undertaken. A teacher guiding children in behaviour has to be resilient at teaching. The teaching process must be dynamic enough for the children to follow. By resorting to the dynamics of education an educator teaches behaviour to them. An educator has to be also consistent at applying the known approaches to establishing discipline in a class. Teachers have to apply a thought process so that children follow the same. At the same time, a teacher has to avoid conflicts with the child which might create trauma. Several times teachers need to interact with children about what they like or unlike about the teacher. These feedbacks will help educators to improve in teaching and without resilience, it would not have been possible to do so. Teachers should apply the famous praising system to manage the children. In this system, teachers have to reward children for their extraordinary behaviour. By the help of this method, the teacher will establish responsibilities for students that they must follow. Educators can also implement this approach over communities which consist of a variety of people. If a teacher sees negative attitude then the child will tell them that they will not be receiving any praise. The educator must motivate students to practice good behaviour to be a responsible citizen when they grow up. Self-discipline comprises of problem-solving skills upon children. Students at the earliest level may face difficulty at several tasks or activities and the educators have to sole them patiently. There can be many issues and which require trial and error method to solve. The approach here for teaching children is to plan activities that focus on building logic required analyzing each and every situation in teaching. This is an important point to keep in mind in child behaviour. Teachers thus at times have to change their strategy. As an educator or she has to model behaviour building approaches with the help of which a child can progress in his or her life. As traditional approaches, educators will inquire children to share their issues with children. In behaviour development, teachers should also encourage children to take up numerous activities like sport and music to be more tactical towards life. Several times we see that children follow aggressive tactics to get things done. Here the educator has to be strict to control the students and make them lean that these types of behaviour are unacceptable. The means by which aggressive children can be controlled can be known by pursuing the certificate course in classroom behavior management which the insight of the mind of the children. Self-control is the key to being a good human being. Impulsive behaviour has to be controlled with self-control. Teachers will need to teach children methods of self-control. At many times educators can find an overflow of emotions such as grief, anger etc. They have to be controlled at the earliest stages since too much of anything is not appropriate. Teachers have to educate children the various methods as to how to gain self-control so that there are no impulses. Teachers will strategize ways to tackle extreme emotions if any. They have to consult with doctors or specialists if the problems are very high. Teachers need to follow some conventional guidelines in behaviour management in classrooms. These can be achieved by making routines help children educate and compare their own behaviours. These conventions will comprise of timings into activities watering a plant, doing homework, watching television and so on and so forth. Teachers have to manage the various processes apart from educating children such as maintain checklists, assessment notes etc for checking the progress of children. Children will have to learn the ways to finish the tasks that have been assigned to them. Students generally fulfil objectives which they find easy and manageable. Educators need to take actions to assist the children to complete their tasks. 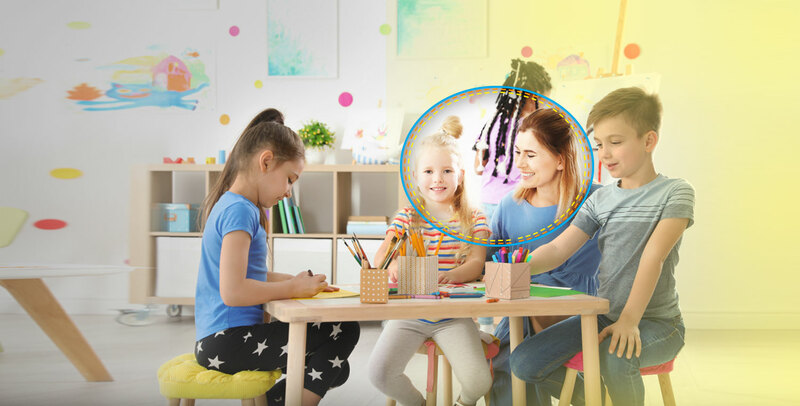 These can be known in details by following the certificate course in classroom behavior management from an organization devoted to training Montessori teachers. As a behavioural educator one must one must be resilient and consistent when managing children in classrooms. They need to give attention when motivating children so that they learn proper ways to behave with others with the correct attitude. Behaviour is impacted by the surrounding of the classroom and home. Teachers will have to understand the aspects of the behaviours of the children. Now numerous programs are being launched in organizations over the world through which behaviour at the pre and primary level and for this one must pursue certificate course in classroom behavior management to obtain advanced knowledge to teach children at institutions. I’d need to verify with you here. Which isn’t one thing I normally do! I enjoy studying a put up that can make individuals think. Additionally, thanks for permitting me to remark!